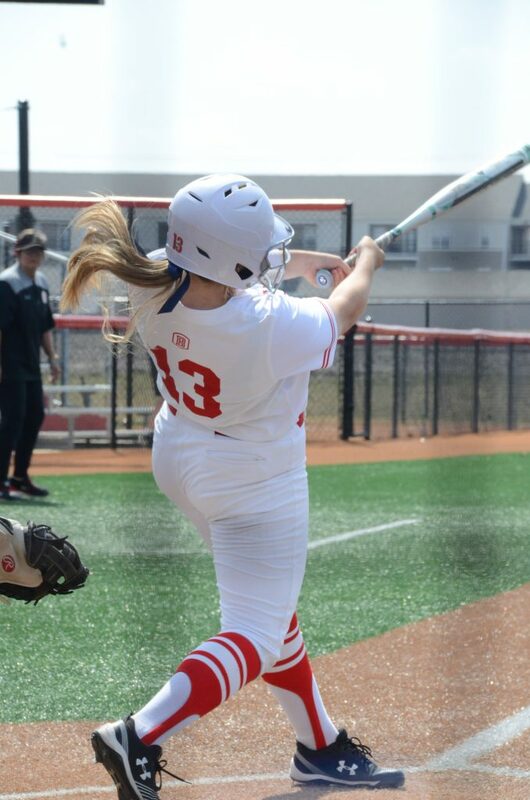 After scoring 39 runs over the span of four games versus Loyola and SIUE, Bradley softball was challenged by Missouri State pitching this past weekend. On Wednesday, the team headed down I-74 to play rival Illinois State. The Braves first played two games with the Bears and lost both games by one run. In the first game, Bradley grabbed a three-run lead in the bottom of the first, courtesy of RBIs from sophomores Vicki Zaluske, Stacia Seeton and Taise Thompson. Missouri State got a run back in the fourth. A go-ahead, bases-loaded triple from the Bears in the fifth proved to be the winning blow, as the Braves fell 4-3. In the second game, Missouri State drew first blood, scoring a run in each of the first two innings and in the fourth. A solo homer by junior Allison Apke and a sacrifice fly from senior Katie Habryle brought Bradley within one. A seventh inning rally fell flat, and the Braves lost 3-2. 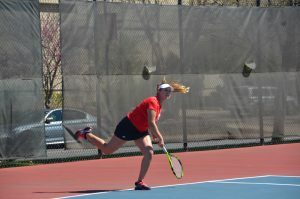 “I think we did enough offensively and defensively, really, but we just did not run the bases well, and it cost us,” head coach Amy Hayes said. In the series finale on Sunday, Bradley scored the game’s only two runs in the third inning thanks to junior Kealia Wysocki’s solo home run and an Apke RBI single. Junior pitcher Emma Jackson shut down the Bears’ offense over seven innings of work, allowing just three hits and striking out six batters to pick up the victory for the Braves. Bradley’s rotation has been rock-solid as of late, posting an ERA of 1.75 over the past week. On Wednesday against ISU, the Redbirds got ahead 2-0 through three frames. The Braves responded with an Apke solo homer in the fourth, followed by three runs in the fifth inning. 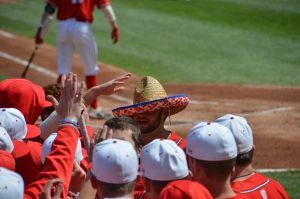 After Bradley scored two more in the sixth, ISU tallied two of its own in the bottom half. The Braves plated two extra insurance runs thanks to freshman Keeler van Breusegen’s double before Thompson picked up the save in two innings. The win improves the Braves’ record to 20-15 and 7-5 in Missouri Valley Conference play. Cold weather and wind forced the second game to be postponed until April 23, when the Redbirds will visit Peoria to complete the season series. Bradley looks to extend its eight-game road win streak this weekend in Evansville. The two will compete in a doubleheader starting at noon tomorrow and the series finale Sunday afternoon.